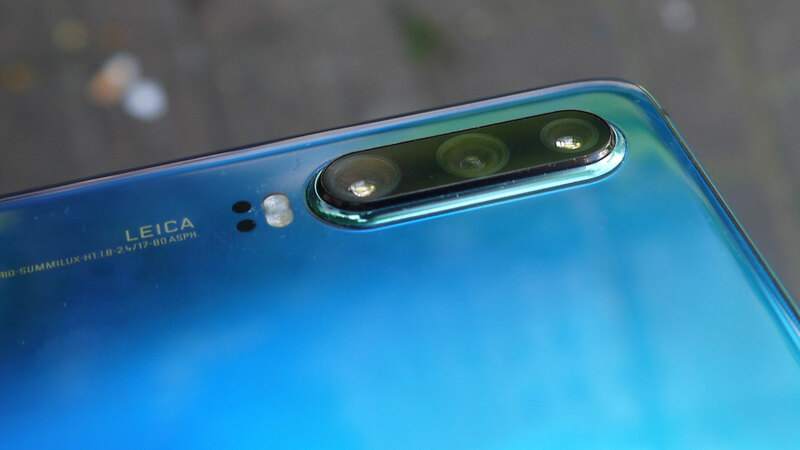 I&apos;ve reviewed a few phones for TechRadar now, but I hadn&apos;t found the camera a particularly compelling part of them – until I picked up the new Huawei P30. With its tri-lens offering and range of features, the Huawei P30 got me to re-think how I use the camera in my phone, and the way I use it to take pictures on a day-to-day basis. That&apos;s not to say the cameras in other phones were bad – the Xiaomi Mi 9 has a fantastic snapper for its price, and the ROKiT IO Pro 3D&apos;s 3D photography is a novelty if nothing else – but while it was fun experimenting with these handsets for the purpose of a review, I’d never used a phone camera for novelty, non-review purposes. In fact, not since my first smartphone in the Samsung Galaxy S3 Mini (I was reluctant to give up my LG flip-phone, okay?) with its feeble 5MP snapper, had I actually opted to use my phone camera to take normal pictures, and since then I’d lost interest in taking &apos;artistic&apos; or memorable shots. However when I started using the Huawei P30, and the range of image optimization features it boasts, I broke the habit of a lifetime (well, several years). You can read all about the specs of the Huawei P30’s camera, and what we thought about it, in our in-depth review, but these are the highlights. The main camera has a 40MP sensor which &apos;sees&apos; red-yellow-yellow-blue light instead of the red-green-blue that other digital cameras do, and the point of this is both to pick up and boost colors better, and to take better night-time shots. Joining that is a 16MP ultra-wide camera – you can probably guess what this does, and it’s used to take wider panoramic shots with a substantially bigger field of view. Lastly is an 8MP sensor with a telephoto lens, which is used to take pictures with better depth sensing and focus, so subjects in the foreground are in focus while backgrounds and borders are artistically blurred. One of the main perks of this is a 30x zoom capability, which lets you can take pictures that are further away in high quality (and, if you want, take pictures of things that are huge distances away). My main problem with taking phone pictures is that I don’t have a particularly artistic mind, and so I was sure my photography would be terrible, but with the Huawei P30 it was almost impossible to take a bad picture. Between the various features the three cameras bring, and the general high quality of pictures taken, it felt like the P30 had a solution, or a way to enhance a picture, for every setting and scene I saw; whether I wanted to take a close-up shot inside my dingy flat, or of a bright flower in a gloomy setting. Every time I saw an interesting scene there was a phone setting to improve it, and sometimes the pictures I took were even better than what I saw with my own eyes. Because the camera features were stopping me failing, I learnt to experiment more with what made a good photo, which naturally lead me to try and snap a greater variety of scenes. The more I played with the camera, I got a sense of what worked as an ‘artistic’ shot, instead of what merely looked good because of night sight, color boosting or any other kind of enhancement. I’d never really considered aspects like symmetry, depth, or color balance in pictures, because previously my benchmark of a good picture was ‘not so blurry you can’t see the subject’, but as the Huawei P30 was acting like a crutch, these concepts opened up to me a little more. I also played around with the ‘Pro’ modes of the camera that weren’t as accessible to a photo newbie as they were to me now, and took some… interesting shots. But experimenting felt fun, as though I was developing as a photographer instead of desperately trying to take a shot that didn’t look bad, and I always felt like I was learning. Will this camera conquest continue? When I put down the Huawei P30 and pick up my next handset to review, it’s impossible to know if this new phone will inspire me to continue hunting down great pictures or if I’ll fall back into my old, negligent ways. However my time with the P30 has given me a better eye for scenery and details (not a great eye, I still admit I’m a pretty shoddy photographer! ), and going forward it’s got me excited for testing out future phones and seeing how well they take shots. I realize the photos used in this feature may not win any awards, but by my standards they&apos;re pretty great, and I&apos;m proud of them! Is LG really planning a phone with 16 lenses?